There is no more boredom, we can play board games anytime, anywhere. Download immediately! 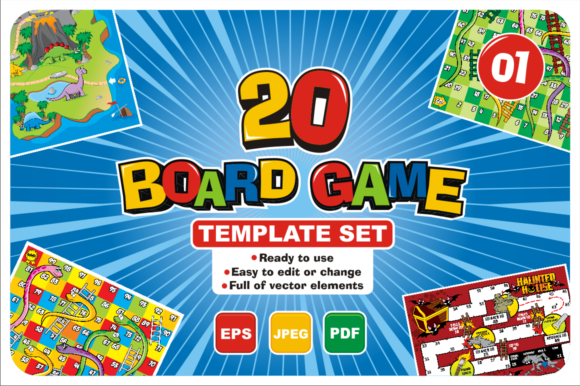 This bundle contains 20 game boards in vector form, easily edited to your liking.